I wonder about how Pierce's next Dr's appt will go! A fav Rockwell for me is the tree in town square. Jack and Jill was a very popular childs magazine year ago. 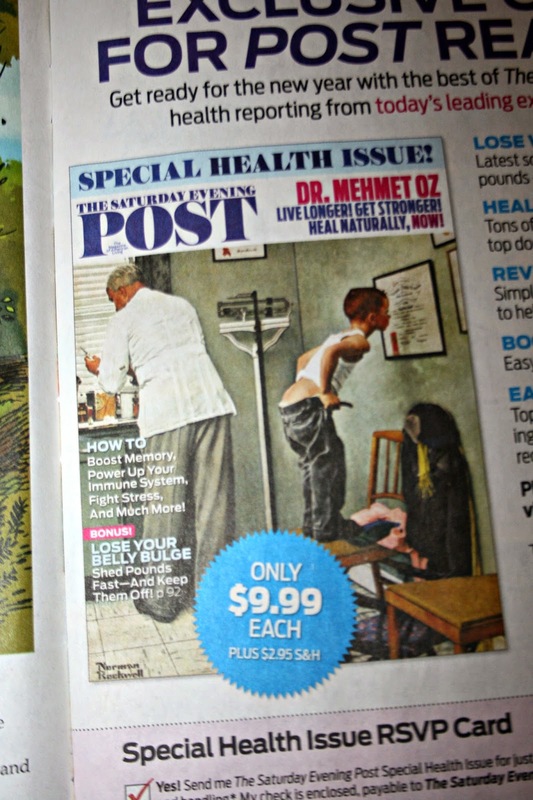 We had a huge book of my moms of Norman that always was in the reading rack.Saturday Evening Post was a treat to get and look at what he had new to share. I used to have some prints matted and framed with no idea where they are now. Now that's funny! Kids get the message, but then have trouble distinguishing "it's OK" from "it's NOT OK." And I adore all of Norman Rockwell's paintings. It would be hard to pick a favorite one for me. Pierce pays attention and has strong opinions. For our little kids, the bottom is the WORST and most private part of ALL! It is the most secret of all private parts. Not so much with the other. Isn't that funny, why do you think it is? I laughed so at this, but I also thought, poor Pierce. And poor YOU for thinking you brought home something terrible. You gave me such a laugh, Lisa! As far as a favorite, there's the parents standing at the bed of their son who is sleeping, and the father has a folded newspaper announcing America at War. Then there's the Thanksgiving painting and the church choir one. I'm not sure I have a favorite, as they are all terrific! If it is on a magazine cover it isn't private any longer. You've taught him well Mama Bear! That is hilarious! There must never be a dull moment at your house!! OH, HA! I adore Rockwell's paintings---I wish I could claim a favorite, but I like so many--the girl getting ready for prom, the baseball player, Ruby Bridges escorted to school. That man had a range. That was an "interesting" response to Rockwell! But, as you said, Pierce's life experience didn't help him with that. That's funny! But I recall not liking that photo as a child. I'd heard about getting shots on your bottom and I thought it was a terrible custom! Ouch! That's funny! I like all of Norman Rockwell's work really. Some of his portraits where he's working in the painting are pretty cool. I love that extra long stick he used to attached his brush to. Artists really don't use those now a days. My son would have thought it was funny.